Online videos from YouTube, Hulu, Dailymotion, Vimeo, Facebook, Instagram etc. are a mish-mash of video formats. Common file formats used to deliver video online include MP4, FLV, WMV, MOV, WebM, some of which are incompatible with our tablets, TVs, phones, media players. The process of online videos transcoding that is viewable on these devices is needed from time to time. Read our how-to guide to fast convert online videos to MP4 format without losing quality for mobile phones, Android Samsung mobile, iPhone iPad, TVs, media players. MacX Video Converter Pro, an all-around online video downloader & converter from MacXDVD Software, offers a simple way to convert any online videos to MP4, including 4K UHD, 8K, 1080p HD, 720p/480p SD online videos from YouTube, Vimeo, Dailymotion, Facebook 300+ online video sharing sites. A noticeable benefit of this online video to MP4 converter is the conversion can be finished in 5x faster speed than online MP4 video converter applications deliver, without decreasing quality, due to Hyper-threading tech, Multi-core CPU( up to 8 cores) utility, QSV acceleration tech and built-in HQ engine. 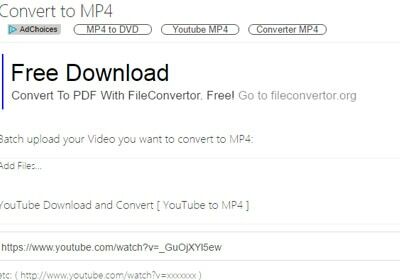 Follow the guide on how to convert online videos from YouTube to MP4 and give it a shot. Free download the video converter for Windows (Win 10 incl.) or for macOS (macOS High Sierra also supported), run it on your computer if you haven't. And go to the next step to download & convert YouTube videos to MP4 on Mac/Win for Android mobile devices, iPhone, iPad, TVs etc. Click "YouTube URL", copy and paste online video URL to the box frame and click "Analyze" to load the online video info. The online MP4 video converter will show the online video info, including resolution, size, codec and format, after the video is loaded successfully. Select MP4 format, click "OK" and hit "Download Now" to start to download online videos in MP4 format. If the online video is not in MP4 format, just select the res, size, codecs etc. you want and go to step 3. Check the box next to "Auto add to convert list", click "Download Now" and quickly download video from YouTube or other video sharing sites. When the online video download process is finished, the Output Profile window will pop up, enabling you to decode online videos to MP4 format, and click RUN. If your videos file size are too large, follow to compress MP4 video with the best video converter to save space for iPhone iPad Android mobile devices. Download YouTube videos URL to MP4. Convert YouTube online videos to common formats like MP4 AVI MOV, MKV, 3GP, MP3 AAC etc. Offer different size and resolutions to choose from. The online MP4 free video converter has many redirects and is supported by ads. Only available for YouTube online videos converting. Slow MP4 converting speed from YouTube videos. Simple to use. Paste online video URL, choose output format, enter email address and convert. Download and convert online videos to MP4 and other common used formats, such as MP4 to MKV, MP4 to AVI, WMV, MOV, webm to MP4, and audio formats AAC, MP3, FLAC, AC3, iPod formats. The maximum file size you can free convert is only 50MB. Fail to convert and download YouTube online videos in MP4 format. Frequent errors - sorry, we can't get that video. Have to enter email address to receive converted MP4 format from online videos. 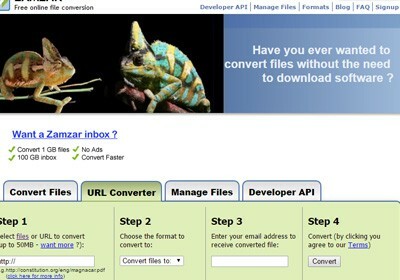 No need to register the free online converter. Accessible for converting from lots of sites (up to 15+), like YouTube, Dailymotion, Instagram to MP4, to name a few. Convert online videos to 4K to 1080p, 1440PHD, 720p, 480p SD MP4. The online MP4 video converter site is brimming with ads. The online video to MP4 conversion speed varies from period to period. Cannot download and convert online videos to MP4 on iPhone iPad. 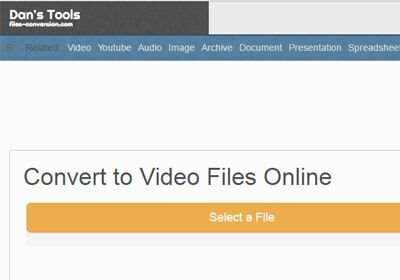 Convert saved YouTube videos to MP4 online with easy steps. Offer quality and file size option. Users can convert videos online to MP4 with high quality in large file size or low quality but in smaller file size. Transcode online videos from various sites to MP4, AVI, FLV, WMV, MOV etc. popular formats. Only convert videos from your local drive to MP4 format. Cannot download YouTube videos, or other online video URL to MP4 format. Upload videos from local drive to convert to MP4. Download and convert YouTube online videos for free to MP4. Batch enter URL of the online video and convert HEVC to MP4. Download and convert online videos of 4K UHD, 1080p, 720p from 200+ sites. It is filled with misleading adware download buttons. Download button not work sometimes, and online video to MP4 conversion crashes quite often. 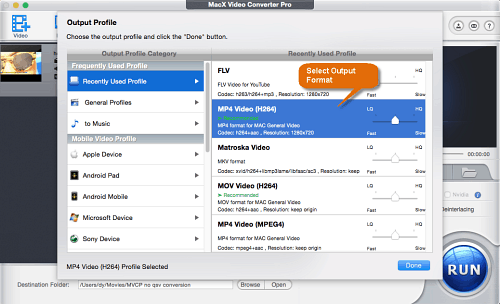 Top-rated online video to MP4 converter - MacX Video Converter Pro provides you the easiest way to download and convert online videos to MP4 for playback on Android mobiles iPhone iPad etc. including online videos from YouTube, Dailymotion, Instagram, 300+ video sites.